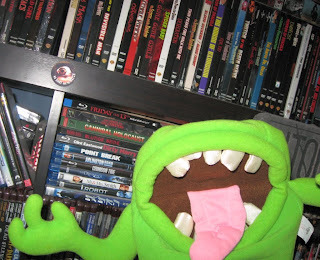 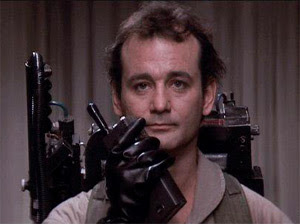 Basement of Ghoulish Decadence: Slimer Invades the Basement! 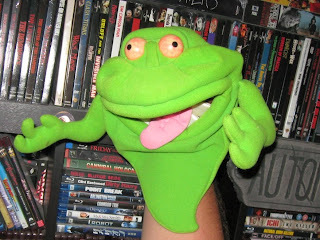 Picked up this disgusting blob of a hand puppet this morning for a buck. 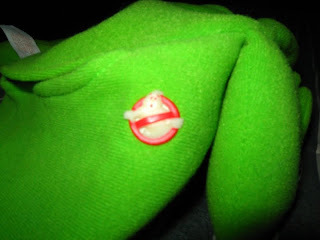 Apparently Kenner produced only a very small run of these in 1986. 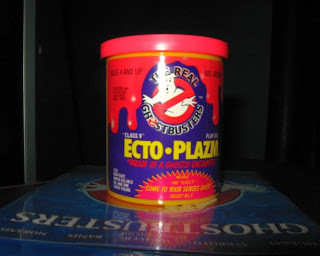 I remember accidentally leaving the top off my "can" of ectoplasm and then finding it a few weeks later dried up and crusty.